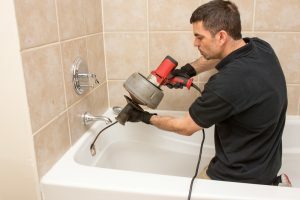 What is your first instinct when your sink or bathtub has a clog? Perhaps it is to grab a plunger. If that doesn’t work though, you’re likely to try store-bought chemical drain cleaner. After all, it’s a quick and inexpensive way to remove a clog, right? While we agree that these cleaners work quickly and inexpensively, we do not recommend using them. The reason for this is because the chemical makeup of these cleaners has an adverse effect on plumbing systems—which defeats the purpose! Keep reading to learn more about why we do not encourage the use of these cleaners, and why “quick and inexpensive” is not always the better choice. When Is Drain Cleaning Necessary? No one ever really wants to call a professional plumber to their home. It’s not that plumbers aren’t nice people, but that their presence indicates that there is a big and likely gross issue with your home’s water system. This fear of plumbing problems that may require a professional fix can lead a lot of people to ignore the signs of an increasingly serious issue. One of these issues is drain cleaning. Drain cleaning is one of those necessary evils that may seem like a pain, until you compare it to the alternative. Let’s take a look at some of the ways that you can identify when drain cleaning is necessary. We know, it’s obvious. Still, if your drains aren’t draining at all you should pick up the phone and call a professional to schedule a drain cleaning. Most people don’t have any problem with immediately calling a plumber when a drain isn’t draining, but they’re perfectly willing to ignore the warning signs that precede that issue. 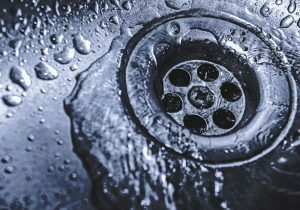 If your drain is draining slowly, that’s a sign that there is some sort of blockage that is obstructing the water from flowing freely down the drain. This is where a lot of homeowners should be calling a plumber, but many of them don’t because the drain is still technically working. Don’t wait! Call a plumber as soon as you notice that the drain isn’t working as well as it should be. This is a pretty disgusting issue that a lot of homeowners run into when they have blocked drains. If water or sewage is coming back up through any drain in your house, you’ve got a blockage that needs to be dealt with. A bad smell coming from your drains indicates that the trap in the drain isn’t closing properly. This is usually caused by something either physically obstructing the trap or it getting stuck in the open position. If the trap is stuck open, the smell from the sewer line can drift up into your home through the drain. If you’re having problems with your drain, call Design Comfort. We provide plumbing services throughout Salt Lake City. Posted in Heating | Comments Off on When Is Drain Cleaning Necessary?